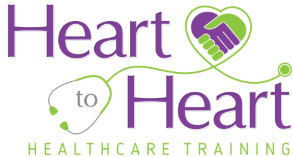 HOW DO I CONTACT HEART TO HEART HEALTHCARE TRAINING? All deposits are non-refundable. Once a deposit is made, it will secure your spot for the class dates that the student signed up for. If for some reason the student cannot take those specific class dates, we will allow students to transfer to another class date if it's available. Yes, we do offer payment plans for the Certified Nurse Assistant class. Call or email us for details. There are multiple ways in which you can register. Option 1 - You can go to our Apply Now tab and pay your deposit for the class of your choice. Option 2 - You can also make your deposit over the phone by calling 734-890-9574. Option 3 - By requesting a registration packet and sending a check in the mail with the completed paperwork. Option 4 - By making an appointment to meet at the school to pay deposit and register. We are open Monday through Friday from 9am to 5pm by appointment only. A deposit is required to process enrollment and reserve a seat in the class of your choice. Tuition must be paid on or before the first day of class. Payments in the form of Cash, Credit Card, Check, or Money Order are accepted. Checks and Money Orders should be made payable to Heart to Heart Healthcare Training. There will be an additional 2.75% fee for the use of a debit/credit card. WHAT ARE THE REQUIREMENTS TO BE ACCEPTED INTO THE CERTIFIED NURSE ASSISTANT PROGRAM? In order to attend the class, you must be at least 17 years old, and provide a negative TB test. A background check will be performed and certain misdemeanors and felonies can exclude you from being able to attend clinical. Clinical is required to attend class. You may contact your Doctor’s Office, a local urgent care, or your local County Health Department. The cost of a TB Test is usually $15-$20, however prices may vary. WHAT SUPPLIES DO I NEED FOR THE CERTIFIED NURSE ASSISTANT PROGRAM? One set of dark purple scrubs, a notebook, writing utensil, watch with a second hand, comfortable shoes, and gait belt (optional). WHAT HAPPENS WHEN I COMPLETE THE CERTIFIED NURSE ASSISTANT PROGRAM? DO YOU OFFER ONSITE CPR/AED/FIRST AID TRAINING? Yes, we offer onsite training for businesses or large groups. We also offer training in schools, and at community events. Call us at (734) 890-9574 for more details. ARE THE CPR CLASSES COMPLIANT WITH OSHA REQUIREMENTS? All of the American Heart Association courses are designed to meet OSHA requirements. However, OSHA does not review or approve any courses for compliance. American Heart Association and OSHA share an alliance in making the work place safer.